I am delighted with Government proposals that will allow Councils to ‘charge’ utility companies for digging up the roads at peak periods. Under the proposals, utility companies would be charged for ‘renting’ the road while they carry out work, with higher charges at peak periods. Any revenue raised from the lane rental charges would be used by councils to fund measures which could help to reduce future road works disruption. Over the last nine months, we have seen major traffic disruption throughout many parts of Wirral as the various utility companies dig up the roads. As well as causing delays to drivers, it is also expensive. Here in Moreton we have seen the damage caused to trade in local shops along Hoylake Road and anything we can do to avoid this is good news. 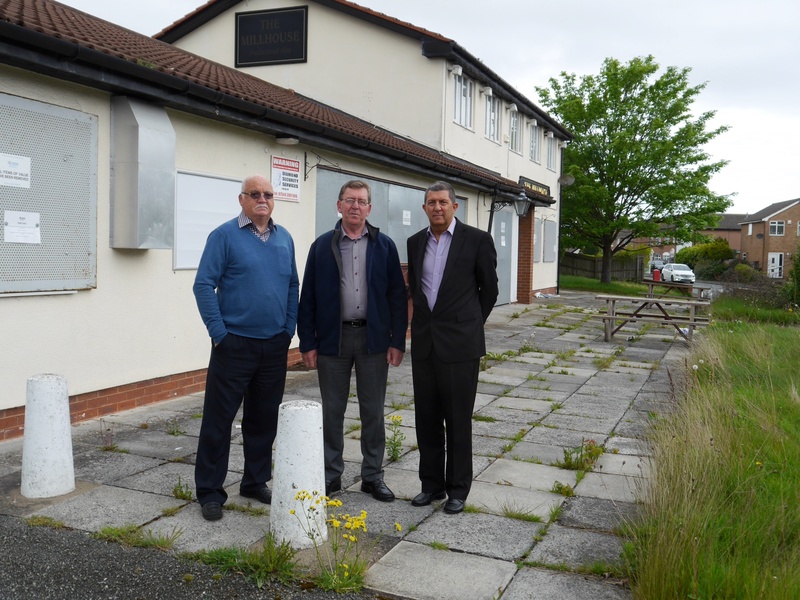 I have heard today that the planning application submitted by Wirral Partnership Homes (WPH) to demolish the derelict shops and maisonettes on Town Meadow Lane is set to be approved at Wirral’s planning committee meeting on the 6th September. Everyone knows the flats and maisonettes are an eyesore and that the area was neglected by the Council for years in favour of investment in Birkenhead. Since the stock was transferred from the Council in 2005 to WPH, I have continually lobbied them for action at this location. I am delighted that in July, after consultation with the traders and local residents they submitted an application to demolish the site and provide three new shop units and 24 homes on the site. 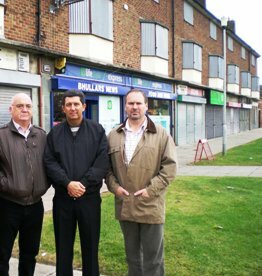 Lets not forget that the site was the scene of controversy in 2001 when the Labour Council tried to use the buildings for ‘troubled youths’, without any consultation first with the local shopkeepers or the local community. This has been a long time coming, this really is tremendous news bringing a £3million investment into our town that is welcomed by the community, as can be evidenced by the 500 signature petition that has been submitted in favour of the application. Many residents have contacted me, Councillor Steve Williams and Councillor Simon Mountney over the last couple of years to ask why there are no Council allotments sites in Moreton. There are currently more than 1,500 on the Council waiting list for a plot and many of those people live in our community. I have held several meetings recently to find out what can be done. Until recently, the problem has been a lack of suitable land. Also, this year, the Conservative Council Budget included £50,000 to help local groups set up allotments. Recently I have been contacted by residents who are concerned about the state of the waste land that was left when the ‘OldBlueSchool’ part ofLinghamPrimary Schoolwas demolished. I have just arranged for this area of land, on the corner ofTown Meadow Lane and Edgehill Road to be cut back and tidied up. Since then, it has been suggested to me that this land could be used for allotments. Last night as a representative of Merseytravel I attended the annual Wirral Volunteer of the Year Awards at the Floral Pavilion in New Brighton. It was a humbling evening hearing how much many many people do voluntarily for really good causes as well as for individuals. There were five category winners and from them the overall Volunteer of the Year award was chosen and this year it George O’Donnell for all his work including the Wirral’s Ark Project. My colleague Cllr Steve Williams was also there supporting his mum, Margaret Harrison, and I was delighted when Margaret was named as the winner of Merseytravel sponsored Oak Award for older volunteers, for her work with the Wirral Deaf and Blind Group, which she has run for over 20 years. She also runs dance classes for elderly people, once a week in Heswall. The night was compared by the fantastic Pauline Daniels who gives lots of her time for charity. A great event which clearly demonstrates how much good work is being done by, and for the residents of Wirral.